Mountain bike is very popular among various countries specially where may hills and mountain are situated. People have been mountain biking since the invention of the bike. And today we have numerous amount of different types of bikes and therefore mountain biking is becoming one of the most enjoyable fun outdoor activities. First of all, having a mountain bike will allow you to start exploring the mountain in an exciting and adventurous way. 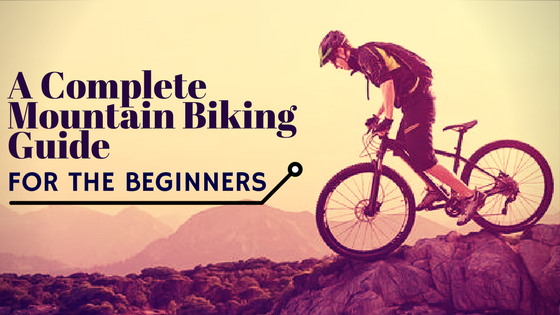 But if you are new to this then you might be stuck wondering about how to exactly start preparing your first mountain exploration on bikes. Here we are presenting this detailed mountain biking guide promising this will be all you need to start a successful biking experience. Here are the highlights that I am going to discussed. What kind of Mountain Bike do you need? When you are heading to the market or browsing throughout many shopping websites for a bike you might find yourself lost. Ask me why? There are many different types of bikes are being built today. Each bike is designed and built for a specific environment and usage style. So you really need to know which one to look for. Otherwise, if you are unlucky enough to buy a bike which is not suitable for you or not built for the reason you bought the bike for, it will be a total waste of time and money. So without any further ado let’s get going with understanding the types of bikes you will see on the market. To be simple, this type of bikes are built with a solid frame which usually comes with a suspension fork at the front of it. Also, you can probably tell by the name of it, this bike does not have any suspension at the back. For mountain biking, many experts prefer different bike types which will come next of this article. So if you are a new to mountain biking then skip getting a hardtail bike. This type of bike comes with both suspension fork and a shock at the rear. There are many different variants of this type. You need to know that this bike usually cost a little more than hardtail because of its complex frame structure and the expensive shock absorber. Undoubtedly, if you can afford it then go for a full suspension bike. There are many affordable mountain bikes that will perform well. I will add some factors to think about on what to look for when buying a mountain bike. But at the end of the day, it is you who will be riding that bike. So it all depends on your personal preference and riding style. Let’s talk about those now. this will apply to any bike types so don’t worry if you have a different purpose of getting a bike. Full suspension – Most comfortable even though cost a little more. 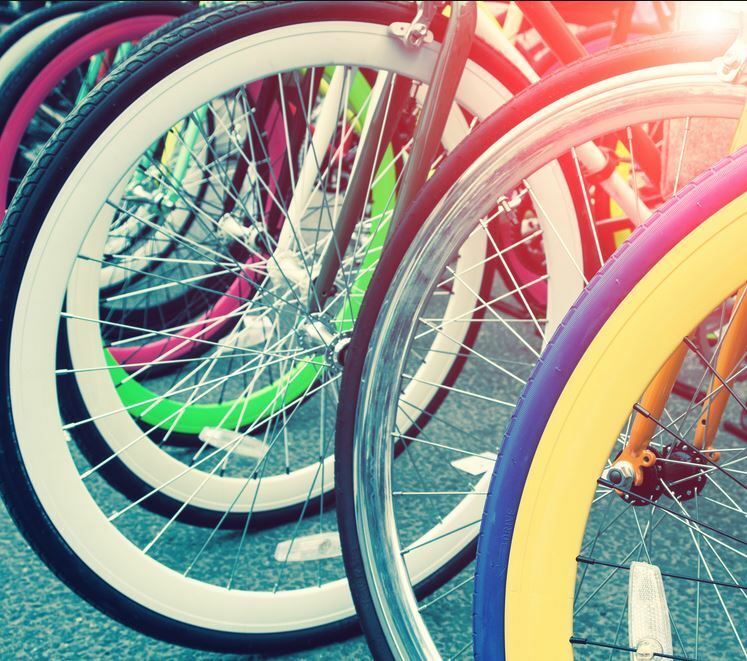 These are the most common bikes on the market. Their prices vary greatly, and so do their uses. Common motorists, as well as Olympic gold medal winners, use them. Their tires roll fast, and the suspenders enable you to have a good grip and total control. If you love bikes with maximum pedaling performance, XC is the best option. Trailing bikes are great to use when descending a hill, or climbing it. Their physical appearance is so enticing; you actually look cool on it. You can easily floss with occasional jumps and drops when on a trail bike. These bikes last long, roll efficiently and have perfect traction. When you trail with pals, you are not restricted to a particular type of racing. These are closely similar to the trail bikes, except that they have longer suspension travel and are gravity assisted. They are best to use when going downhill. If patient, you can peddle uphill for fun too. Their handlebars are wide, with short stems. This guarantees lowered speed when negotiating corners. The price is a little much, but worth it. Being the most specialized mountain bikes known, their worth is high. They have metal spring coil shocks and Triple Crown Forks. There is so much you can do when going downhill, considering how advanced the bikes used are. You only need to know the tricks. If you want to carry them, have it in mind that they are very heavy. These bikes are mainly meant for acrobatic purposes. The rear suspension is meant to facilitate massive and heavy landings made. Purchase this one whenever you are literally ready to dismantle your bones, lose your head and break your back. You can equip yourself with all the knowledge you can think about bikes, but it will not match the honest judgment you make on trying them out physically. Take a test drive on your preferred samples and buy your best pick. You can buy the sample itself; whether new or second, depending on how well versed you are about it. Be cautious to avoid buying a damaged one. You can also consider the price of these bikes. You will have to save up for a bike of your desire because mountain bikes are not sold at throwaway prices. Their specs are worth some good money. Of course, their prices increase with high quality, so you need not worry about purchasing an unworthy product. An exceptional case is when dealing with conmen. One of the most vital parts of a bike. Wheels can determine the price of the bike. Usually, the riding experience varies on different wheels. So this is one of the crucial parts where you need to be careful. A well-made quality wheel will help the bike to go faster. It involves rational weight, diameter, and size of the wheel. But if for some reason you don’t like the wheels that the bike originally comes with, then you get swap or upgrade to a better one. So this is not an issue. Mountain bikes come with durable wheels and tires and design to perform under extreme condition. The rims are usually wide and provide ultimate strength. And the fat tires combined delivers excellent riding experience on off-road. Many bikes are shipped with specially designed off-road tires which are design to prevents heavy impacts and damaging the bike frame and other parts. When it comes to the frame, then there are many different choices. The most popular one is the aluminum which provides excellent frame structure with having a lightweight construction. Aluminum is reasonably priced there for you will see them among many affordable bikes. Mountain bikes which are built from aluminum are not bad considering how long you want to use it for or how you use it. For normal usage, an aluminum framed bike should perform pretty well. And for a budget option, this is usually you are going to get. Now tell me different types which are built from a composite material call carbon fiber. A very popular material which is being used on the much rigid structure including airplane and sports caA. Carbon fiber is lighter than aluminum and stronger than steel. So you can easily guess why this material is so popular in bike construction. But there is a problem. Carbon fiber is pretty expensive. Why? Because molding carbon fiber process is pretty complex and the material itself is not so cheap. Therefore getting a bike with carbon fiber frame will cost you a fair bit. But remember this bike frame are built for extreme activities and also very strong and durable. Assuming you are a beginner then I would recommend getting an aluminum framed bike to start with. Because getting a carbon fiber bike would not make a huge difference for you. >>> For those who are not limited on budget, then I am happy to recommend a carbon fiber bike for the lightweight, comfortable and durable biking experience. The suspension has been a part of the mountain bike riding since it was born in California in the 70’s.All bikes have some sort of suspension through the tires. You can have a comfortable cushioning effect on every bike. Thanks to the air filled fat tires which float over bumps. For better comfort, you have to choose something more practical than this. Mountain bikes can come equipped with suspension fork on the front and rear shocks which combined delivers extraordinary riding experience. Let’s not make it too complex. >> But keep in mind having a proper suspension system on a mountain bike will heavily reduce the amount of beating your body can take. So for a comfortable and relaxed ride, must check out suspension features and performance. I don’t think I need to explain the importance of a good brake on a bike. Probably the most important components that we often ignore to look into. 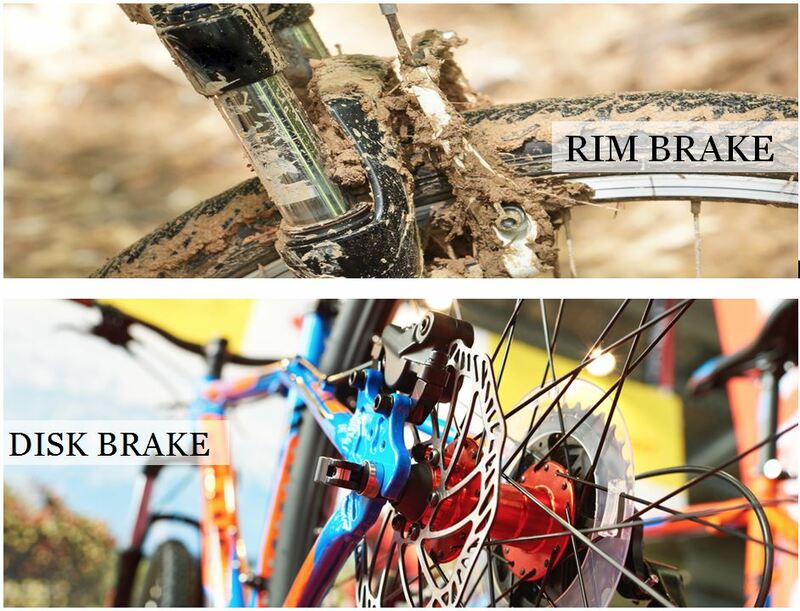 When mountain biking, the brake plays a crucial role as well as ensures the rider safety. Currently, there are two types of brake you can get on the bike. The first one is identified as Rim Brake which is also called linear-pull, direct-pull or even a V-brake system. These are traditional braking system where a rubber part rubs the rim to slow the bike down and eventually stop it if you pull it hard enough. Don’t get me wrong but these brakes are great for everyday usage. This type weighs less and quite simple and easy enough to service and repair. But there is an issue about how this brake works. The brake pad consistently rubs the rim when pulling and can cause wear and eventually damage the rim. Also for mountain biking, this brake type is not practical. Because the muddy and wet condition can significantly reduce the gripping power. On the other hand, there is a new type of braking system you can go for. It is called Disk brake system where a disk is attached to the center of the wheel. This system is very similar to the car brake system. This usually provides great braking power even in muddy and wet conditions, therefore, getting huge popularity among bike riders. You will see them very common nowadays even on everyday road bikes. You need a good brake for the bike otherwise you might wreck the drive train. Disk brake also utilizes brake pad which can be replaced if required. There are many aftermarket braking systems available for this type of brakes. So if you want to upgrade the brake system to a different setup, you can do it anytime. These are mounted on handlebars for easy grip by the mover. They transmit force by a rider on the breaks in an effort to stop or control the bike speed. They are hence the hydraulic mechanism parts. Handle bar is where you will be holding onto the most while riding a bike. So this is important too. Currently, there are two common handle bar types you can get. The first one is a flat bar style. This style bar is designed to be a bit lower than another type. This is mostly seen on long distance and country riders. The second type is called riser bar. These can be many shapes and sizes. These are very popular because it suits all riding environment. It is a little higher than flat bar style and could be wider. The riser bar style handle bar is ideal for mountain biking because it performs well on technical terrain and provides great controlling on downhill riding. Here is a comparison between two types of handle bar. An ideal seat means a comfortable ride. If the bike seat is not great then the whole mountain biking experience can turn into a terrible experience. The bike is also called a saddle. The seat fits into the bike frame and usually adjustable. There are many types of seat you will find on the market. But it is hard to tell just by looking at the picture in a website or listening to someone else’s experience on that seat. The main thing, it has to suit you. Not every seat is designed to be perfect for all riders. So things to consider when checking out bike seats can be – how the design is, what type of material it is made of or even the padding on crotch area can be crucial when selecting bike seat. But most modern bike seats are easily swappable. So do not think you can not upgrade or replace the seat of the bike you are interested in. There are many aftermarket comfortable seat options you can get. So you are free to explore on this. You definitely need some good pedals for better biking. Generally, basic pedals which are most common on a bike are a flat platform. There are some types that come with a toe clip too. So depending on how you are going to use it pedal’s type and quality can make a remarkable difference. For riding a bike long time, bikers prefer to have a clipless pedal which allows the rider to spin the pedal faster and freely as they ride. >>For mountain biking, any of these types might suit you. But personally, I recommend pedals without a clip. In general, this is safer because you can quickly take out your feet in case of a crash. But some of the newly designed mountain bikes are coming with various types and styles which might work flawlessly. The fork holds the front wheel of the bike. 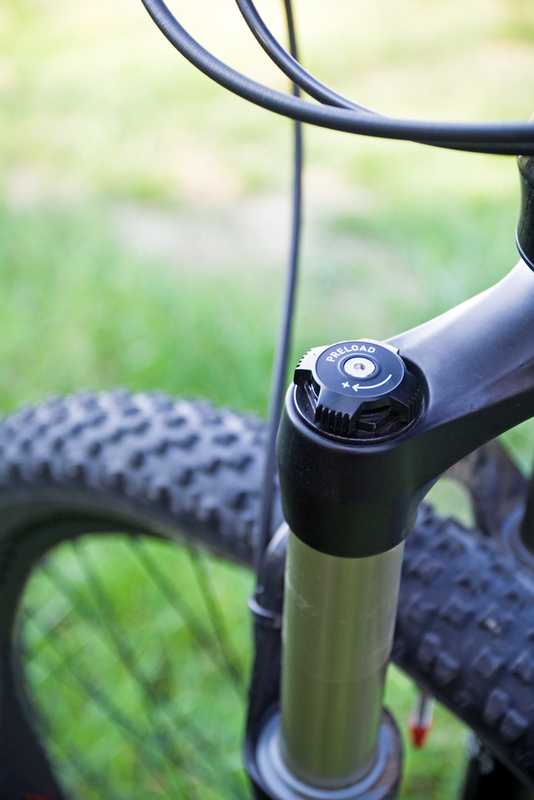 Mountain bikes come with suspension systems to eradicate jolts in course terrain. Front suspension systems have shock absorbers on the front wheel, while dual suspension systems have both rear and front. The dual systems are perfect for rough trails. The hub being at the wheel center holds the spokes. These spokes are simply wires that strengthen the wheel enough to support you. Rims are normally hoop-shaped. They are in direct contact with the earth surface, therefore must be made of rubber. They endure friction with the road and trample over rocks and dirt. Located on the rear wheel and is used to make pedaling more relaxed. They are a circular set of rings, their role being to transfer power from the chainring to the cassette. These are very essential in motion. Front derailleur shifts affect pedaling speed since they shift the chains from one to the other. The rear derailleur shift transfers the mountain bike from one shift to another. They allow gear shifting in differing speeds while on differing trails. They are located next to handle grips, and they control both the front and rear derailleurs. Unlike other sports, mountain biking needs a proper preparation as well as right clothing. As long as you are well prepared for this, you will be able to have a great time. It’s just not about clothing. But also it helps you to be more focused on this extreme sport. A jersey, or a shirt whichever you call it, is an essential part of sports. The purpose of quality shirts is not only to look good and catch all the attention. But a good jersey will help you to stay cool and provides comfort. On the other hand, shorts help a rider to pedal freely. So a good pair of padded mountain bike shorts will improve your biking experience. In terms of shoes, it is crucial to invest a good pair of shoes for a good combination of your feet and the pedals. But there is no need to break the bank for this. You can start with entry level options and then slowly go up to us you go. A must-have mountain bike accessories for bikes. I do not recommend to even start pedaling on a bike without a helmet. There happened to be many serious mountain bikes related accident all over the world. Many beginner riders get hurt or even die to do this extreme sport. But using a helmet can reduce this number dramatically. So doesn’t matter if you are going downhill, or downhill or even roaming around the trail, you must always wear a quality helmet. And the price you pay for this is certainly not worth the price you will be paying if something goes wrong. Probably the next thing you need for protection after getting the helmet. A decent pair cycling sunglasses will help to keep the wind and dust out of your eyes. On mountain biking, there are also threats of leaves and branches that might hit your eyes. This safety biking glasses will keep you safe from those. Also in winter time, it will protect your eyes against snow too. For better gripping on the handlebar, you need a pair of gloves. A mountain bike gloves will provide comforts and ensure safety. Biking gloves are usually made of tough material rather than your winter gloves. 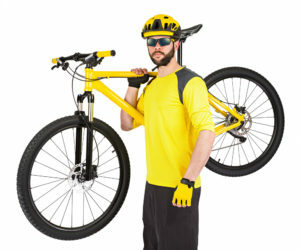 There are many other things you will need for biking on the mountain. Things like kneepad, headlights etc are also part of it.I will continue updating this page making this the ultimate checklist for bike riders. First of all, you should carry out a test drive with the bike you have desired and bought. Look around and identify roads you can safely cruise on as a beginner. It is wise if you start with flat roads with fewer vehicles, and ride in the woods before advancing to rough terrain. You can invite a friend over to make your reconnaissance more fun. Below are starter steps you can undertake once you have your mountain bike. Set a date to go biking. Look out for the weather of that day and remember to go to secure places. You should carry some water with you. It chief to inform some friends when you leave and when you expect to come back. Such a move simplifies the rescue mission in case something terrible happens to you. When you look ahead, you are less likely to stumble into rocks and barriers suddenly. Your eyes should always be way ahead of where you are. You can steal glances around but be careful not to lose balance while at it. This mostly applies when your pace increases. You are supposed to sit on your saddle as you paddle. You may, however, need to stand when you encounter bumps and tree roots on your path. It is more comfortable getting past them while standing. When riding a mountain bike, take a deep breath and keep calm. You may be shocked at how you went past a certain log because of panic. Instead of being in awe forever, relax and try to make that skill. This is how people grow gradually. You may be proud of yourself for balancing on a bicycle and riding it stable. You may realize that as you move for hours, your comfort fades and you feel strained. You can improve this by exerting less weight onto the handgrip and shifting it to your pedaling feet. You can test your improvement rate by checking the speed you have used and over what mileage. Remember to keep records, just for fun. As you advance your skills, you may want to try riding at night. It is so much fun, especially if you have enough confidence and have all precautions taken. Start out with familiar paths, and have as much light on it as you can. You can fix your helmet with a torch, besides having bright headlights at your handlebars. Fix LED light on your rear so that you are not crashed from the rear. You can own reflector jackets now. You should be proud of yourself for associating you with the best-known products. Mountain bikes are renowned for the kind of experience they yield. Whether you are seeking to purchase a bike for fun, transportation or games, mountain bikes cut across. You only need to know why you want a bike and explore your home area to see if you have an open biking place. You can invite your friends over for a biking experience of a lifetime. Since trails can never be too occupied, you have the whole world to explore while on a bicycle. You just need to be careful not to fall or hurt your body. Dress appropriately and hit the road. When packing, lock your bike to avoid theft. The best thing about mountain bike is that you do not have to deal with traffic problems or incur fueling costs.